In well considered and greatly appreciated review, Patricia Fara makes mention of what “the curiously titled” Until Darwin. This brought a chuckle as the printed title has always been a source of both humor and annoyance to me. So let me tell a little story behind it. And let me first state that the original working title for most of the 8 or 9 years of the research and writing was Ecce Homo: The Scientific Classification of Human Variety & The Origins of Race. 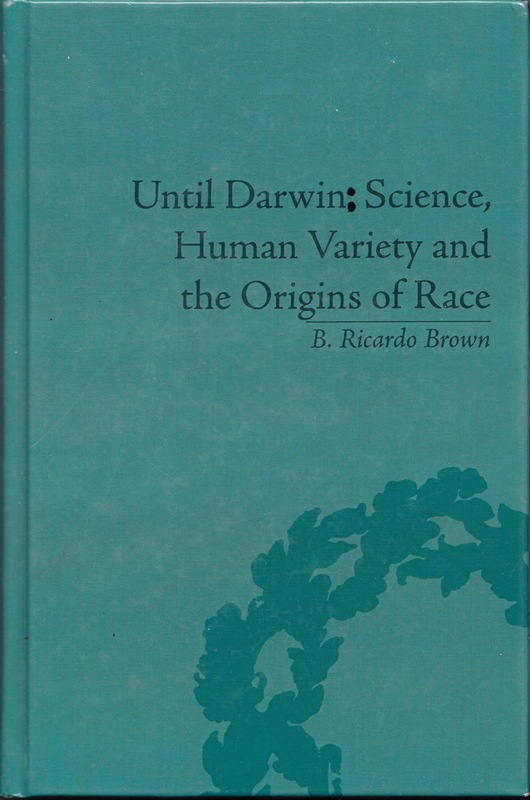 It was noted that although much of the text was centered on Darwin, his name did not appear in the title and of course this was at the time of the anniversary celebrations were about to get underway. So I took the suggestion to change the title to Until Darwin: Science, Human Variety, and the Origins of Race. Somehow in the copyright application that the publisher (the late and lamented Pickering and Chatto) submitted substituted a “,” for my “:” – which was of course a surprise and I promptly contacted them about the error. Let me be clear that Pickering and Chatto was a joy to work with in every other way and all of our interactions were quite great, except it seemed that in this one instance, I was told that because of changes in the way librarians in the U.K. were cataloging titles, having a comma was the only way to get the entire title in the title field. Secondly, that Pickering had a new editorial policy against colons in titles(!). I thought this was curious, not least because I had worked as a legal reference librarian for 11 years. I argued that the title now really did not make sense, but my protests feel on deaf ears. I offered to pay to resubmit the paperwork with a new title, but was again told that it was not possible and then I decided not to literally argue over a comma. The original manuscript of Ecce Homo contained two additional chapters focusing on Classical notions of human difference, especially in Pliny the Elder. These will no doubt appear in a coming work. Finally, in light of thinking about this, I am going to post the unedited proof of Until Darwin as a series of posts on this blog. And again, many thanks to Patricia Fara and the other reviewers of Until Darwin. All of your criticisms will find their way into coming works. Selected reviews: Isis, Vol. 102, No. 4 (December 2011); British Journal for the Philosophy of Science, 45 (1):135-136 (February 2012); Studies in the History and Philosophy Science Part C: Studies in History and Philosophy of Biological and Biomedical Sciences, Vol. 44, No. 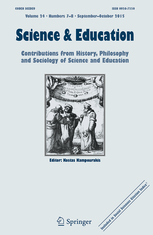 3 (September 2013); Victorian Studies Vol. 57, No. 2 (Winter 2015).